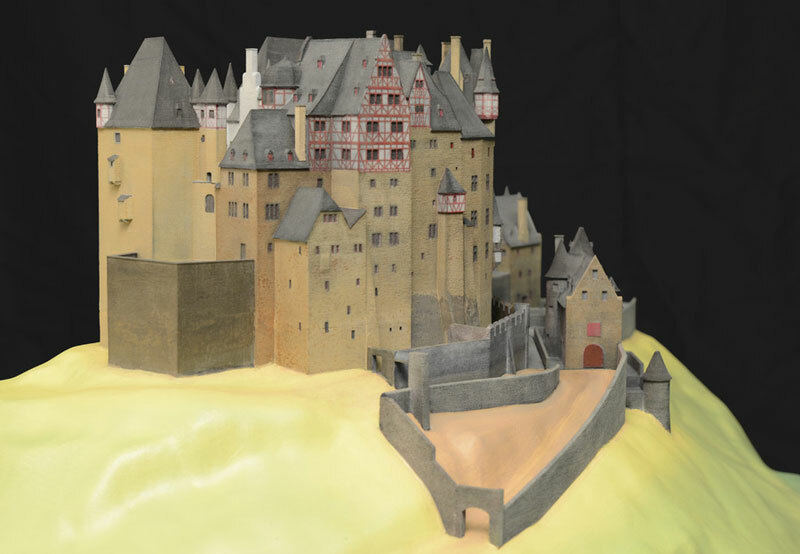 The multi-phase project to create the castle model incl. 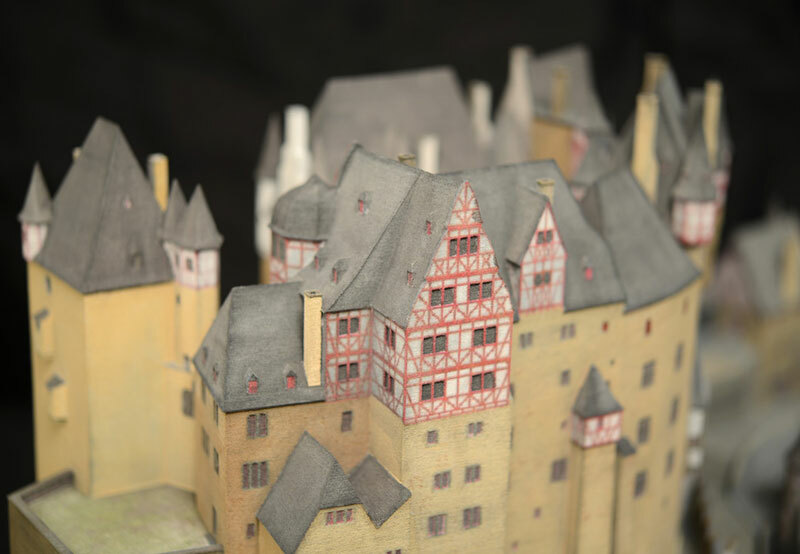 the surrounding landscape started back in 2010 as part of a castle exhibition at Germanic National Museum Nuremberg. 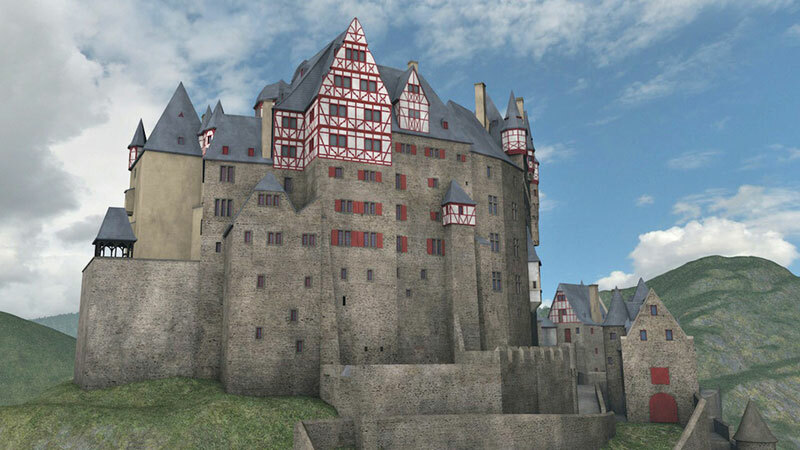 At that time ArcTron generated 3D data of the castle. 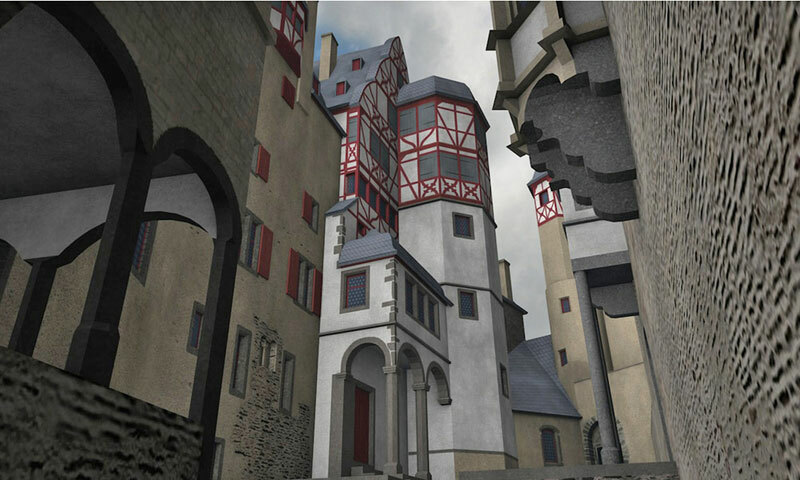 This was achieved by digitally reconstructing the castle with existing plans, drawings and photographs and used for a multimedia installation for the exhibition. 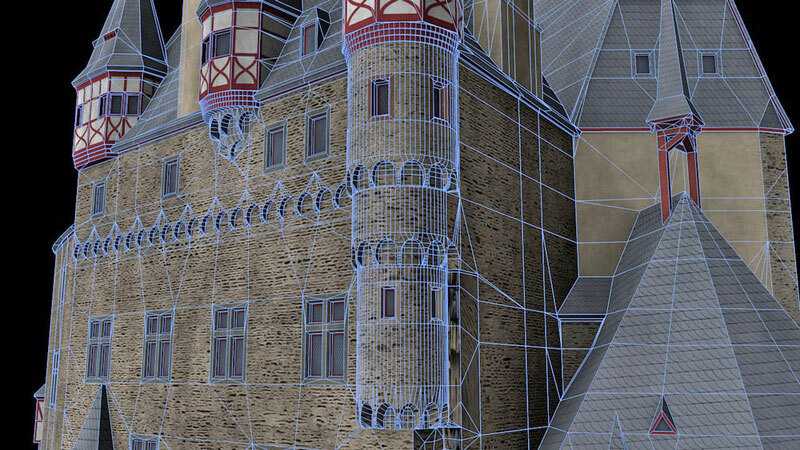 That data was revised and realistically textured to be used for the current museum model. Using rapid prototyping technology the architecture model was 3D printed in colour in high level of detail in several parts and seamlessly merged in later steps. The digital terrain model was generated through LiDAR respectively using a UAV – a micro-drone carrying a high resolution digital camera. From this data a tangible terrain model was produced using CNC-milling technology in a scale of 1: 200, dimensions 80 x 50 cm. 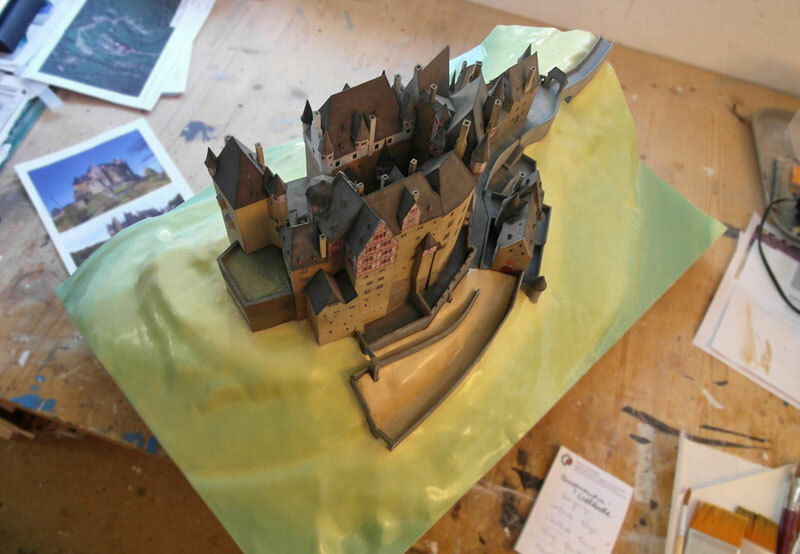 This terrain model served as a pedestal for the architectural model. 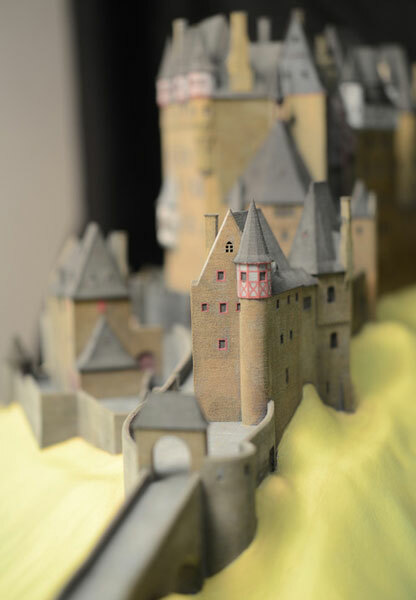 In the post production the 3D prints were merged with the CNC landscape model and colour-corrected by an in-house artist. 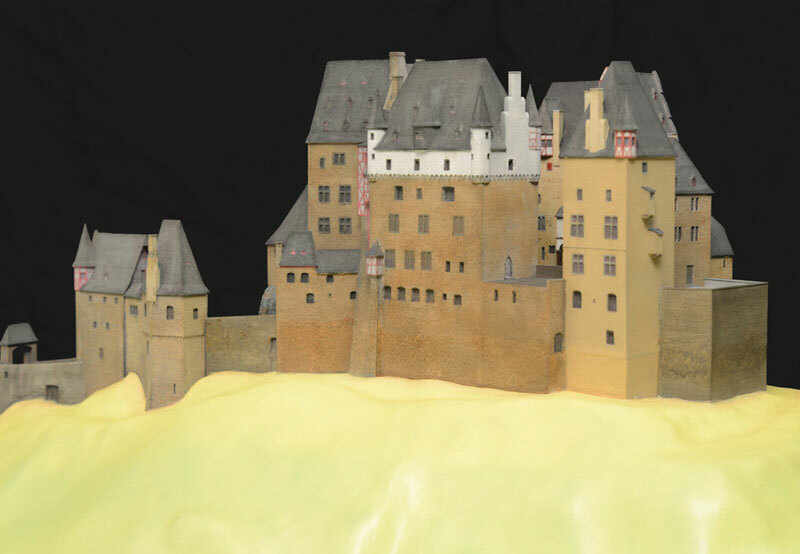 The end result – a detailed architecture model integrated into the surrounding terrain formation is another highlight of our 3D model building team!